March 3rd is known as the doll festival ("hina-matsuri"). It is a traditional custom to display a set of special dolls dressed like medieval court nobles. They are usually set up on miniature steps covered with a red carpet. 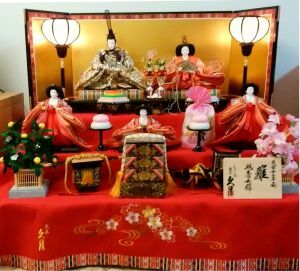 The doll festival is an opportunity to ward off misfortune and wish for young girls’ healthy growth and happiness. The doll festival is said to have begun in the Heian Period, which started in 794 and ended in 1185. It was a time when people believed that dolls had the power to drive away evil spirits. The custom of displaying the dolls in households with young girls started during the Edo Period (years 1603–1867AD). Now it is also common for young girls to celebrate "hina-matsuri" by holding parties and enjoying treats, such as multi-colored rice crackers coated with sugar, and sushi rice topped with colorful ingredients. Who buys the dolls and when? A girl’s maternal grandparents usually buy them for their granddaughter. In January and February these dolls are splendidly displayed for sale in department stores and doll shops. The shop is located just 3 minutes from the U.S. 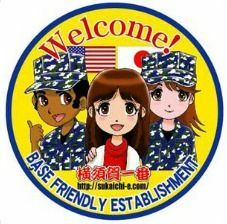 Naval Base Yokosuka. 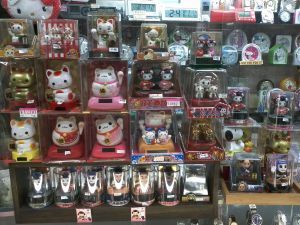 SAIZENDO sells several kinds of dolls including “Kitty-chan”, “Monchici”, which can be suitable for a gift. Link: For more details, click here.